Painting by Shawn Michael unveiled at the ceremony. 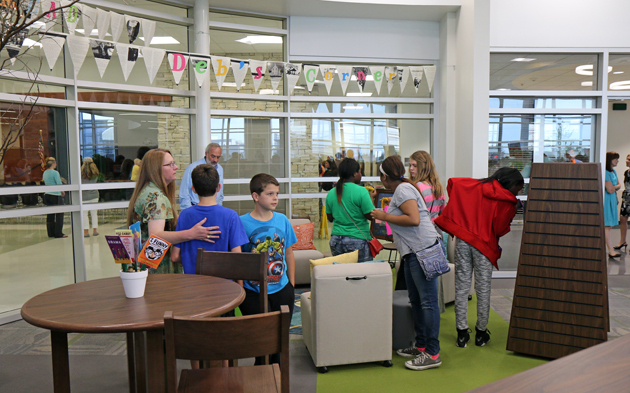 A reading area at the Brenham Middle School Library was dedicated Thursday in the memory of Deb Tackett, long time Middle School librarian who lost her battle with cancer last year. 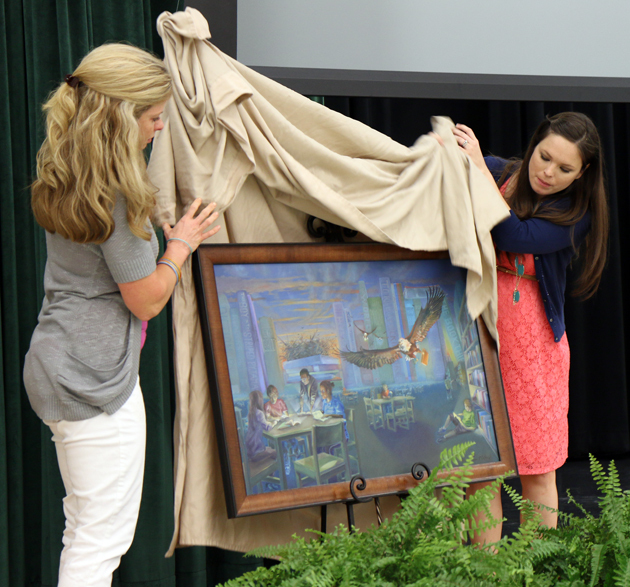 Over one hundred people attended the ceremony that included a video presentation on memories of Deb and the unveiling of a painting by artist Shawn Michael that will be displayed in the library. The reading area will be known as Deb’s Corner and has comfortable seating for students to enjoy reading their library selections. Parents and students check out Deb's Corner. 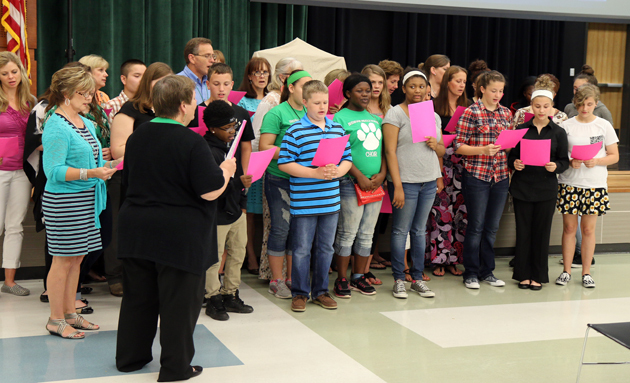 Choir sings "Somewhere Over The Rainbow" at the dedication. Written by: Mark Whitehead on May 29, 2015.